Co-founder Benjamin Benharrosh, lets us in on the evolution of Delair-Tech—the first company in the world to achieve BVLOS certification for their fixed-wing drones. Since starting in 2011, the French company has been involved with railroad and utility companies, SATCOM and 4G LTE radio links, and most recently, opened an office in the United States. 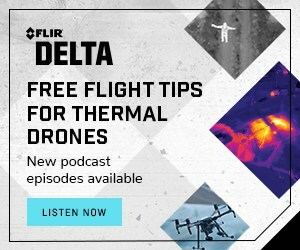 [00:00:15] IAN SMITH: Hey everybody welcome to commercial drones.FM Today I’m sitting in San Francisco with Benjamin Benharrosh, he’s the co-founder of Delair-Tech which is a French drone company and he leads the new offshoot Delair America over in Los Angeles. And right now they’re focused on expansion into the U.S. and Canada. So Benjamin’s been in the drone industry since 2011. A little over five years which is pretty impressive. And he actually used to be my boss whenever I worked for our tech over in Toulouse in France. So welcome to the show Benjamin. [00:00:49] BENJAMIN BENHARROSH: Thank you Ian. [00:00:50] IAN: Great to see you here in San Francisco. [00:00:53] IAN: So first things first, I have to say thank you everyone for listening. I’m going to kind of take a little tangent here so today’s recording marks one day or one month plus one day since the show actually launched and on July 4th and we’ve actually had over 7,500 downloads of the podcast. [00:01:14] IAN: Thank you. So there’s definitely something here. People are listening. People I guess there was a desire to learn more about commercial drones so turning it back over to you. Number one question. What is our Belair-Tech? [00:01:27] BENJAMIN: So Belair-Tech is a French company as you said. 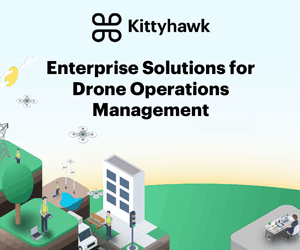 So we started a bit more five years ago and we offer solution for observation for professional industries such as the grid, power grid, agriculture and we use drones that we design that we deploy and then we process the data to extract information for our customers. [00:01:48] IAN: Excellent. So you create the drones from the ground up. [00:02:10] IAN: Very cool. So what are some of the drones what are they called? What kind of drones do you make? [00:02:14] BENJAMIN: Fixed wing drones. And at the beginning of the company we wanted to target oil and gas market, so we wanted to have like beyond visual line of sight long endurance drone. So we started with fixed wing drones. We have two of them now DT18 and DT26. One is 2 kilograms. You can fly 2hrs, 100 km and the other one is a 15 kilogram and can fly 2.5 hrs. [00:02:38] IAN: So for our U.S. listeners both of those drones two kilos and 15 kilos thats going to actually. [00:02:45] IAN: There we go yeah 4.4 pounds, so that will be within the less than 55 pound limit for Part 107, both of them. Thats cool. [00:02:55] BENJAMIN: Just a last thing about DT18, it was the first two AV in the world to be certified by your national authority for beyond visual line of sight so it was in late 2012 and since that time everybody who was buying a DT18 in France was authorized to fly beyond visual line of sight. [00:03:11] IAN: Thats really cool and its called the scenario cast S4. [00:03:14] BENJAMIN: S4, Yeah exactly, Good memory Ian. [00:03:14] IAN: Thank you very much, appreciate that. So the DT18 small fixed wing drone. Can you tell us a little bit about kind of maybe how you started? You have two other co-founders Michael de la Guard. [00:03:32] BENJAMIN: Three – we are four. [00:03:33] IAN: Oh sorry, four total co-founders and I’m still in Drone Deploy mode here with the three co-founders. Yeah maybe you can kind of tell us like why did you guys start Delair-Tech back in 2011? which is pretty ancient If you think of the drone industry. [00:03:49] BENJAMIN: Yeah and actually it started, the product started late in 2009. At the very origin, It was a Miquel de la Guard who is one of my associates. So he was working for an oil and gas company and he experienced like leaks every day on his pipelines. So you kind of imagined a new flying robots that could detect leaks like 20 kilometers away from his base. So he started to design some project using drawings etc.. He started to make some prototypes and then when he wanted to build the company he was trying to find some confounders – we were on the same school with Mikel. [00:04:30] IAN: Was this in Paris? [00:04:32] BENJAMIN: It was in Paris. It’s called Ecole polytechnique. We were at the same school and he started to talk about this project. I was looking for a project – as well and Sebastian was working in the space industry at that time – like the skills to build telecommunications systems, navigation systems for for these kind of machines. And the fourth one. Benjamin, the other Benjamin was the boss of Mikel when he was working in the oil and gas industry so you kind of gather all these guys with different skills. And we started a company in 2011. [00:05:04] IAN: Isn’t there like some really funny story about whenever you kind of started at Delair-Tech you were in some funny situation. [00:05:13] BENJAMIN: Yes, it’s still secret – that maybe in a few years we’ll release it. [00:05:18] IAN: OK no problem no problem. Whenever you feel comfortable to share it if you. [00:05:25] BENJAMIN. Maybe at the end of the interview. I’m kidding. [00:05:26] IAN: No problem. Cool. So actually what is the what kind of price range does the DT18 and DT26 fall into. I mean these are industrial grade , super high quality and made drones. [00:05:42] IAN: Yes certified, beyond visual line of sight for in France. So what would one expect to pay for one of these machines? [00:05:48] BENJAMIN: And also we haven’t talked about the sensors but the sensors are like professional grade, so we don’t carry commercial camera. So this kind of stuff but it’s like professional cameras either it’s visible on multi-spectral or infrared it’s always the professional tool. I mean we’re looking for the best quality of the data because it’s the quality of the data is very important when you want to look for information. [00:06:09] So the price range would be if you’re talking about the full package including the training, the sensor on the software including the software to process the data. It would be something like $30,000 for the DT18. [00:06:21] BENJAMIN: Yeah. Depending on the sensor and 90 with the DT26 $90,000. [00:06:28] IAN: So the DT26 of course the big price – price bump there is because obviously that’s a larger aircraft. I mean how much endurance does it have? [00:06:39] BENJAMIN: It depends on the sensor. So it can. Usually it’s two and a half hours. But it’s especially it has a capacity to carry like five kilograms of sensor. So it’s been designed around the LIDAR. So LIDAR is a kind of laser that is carrying the earth. It’s much more powerful that what you can do with photogrammetry you can see like very in the details. You can see through the vegetation you can see like power cables to consider of stuff. Our clients want to see. [00:07:05] IAN: It’s like down to millimeters right? [00:07:07] BENJAMIN: Exactly. So it sends a lot of impulsion, a laser on impulsion. And this is very expensive this is very big and the whole DT26 has been designed around this sensor. [00:07:17] IAN: Amazing. There’s also – there’s also the DTI-XL, like the big surveillance sensor. I don’t you guys actually there’s been a lot of work with SNCF from Belair-Tech. So, SNCF for those that don’t know. It’s like – I think Europe’s largest railway operator. [00:07:41] BENJAMIN: I think it’s with Autobahn. Yeah I think they are like competing with each other. [00:07:45] IAN: Ok cool.so one of the largest in Europe. So that maybe you can tell us how they were using or how they use the DT26X. [00:07:56] BENJAMIN: So they came to us like at the beginning of the company maybe late 2012 just after our suffocation from your line of sight and they were looking for a system to be able to make so night surveillance on their rail – facing a lot of corporate cable theft, because at that time the price of copper was very high which caused this problem for them in terms of investments because they had to replace these cables. [00:08:19] And also in terms of it breaks the service. So the trains cannot run anymore. So it’s a very huge problem for them. And they estimate it as a loss of hundreds of million dollars per year. So they are looking for some solution to help the teams to make the surveillance by night of the rail. So they have been looking into long endurance drones. I think BNSF in the U.S. is doing the same with companies like ScanEagle. [00:08:51] IAN: Another railroad company or train.What do they call themselves train or railroad company? [00:08:56] BENJAMIN: I would say Railroad not sure. And so it’s basically the way they use the DT2, they send it on a rail. It flies like two hours during the night. They make multiple flights so at the end of the day they will fly six hours per night and they receive in real time the video, the infrared video on their monitor and they send it also in real time to Paris using some satellite communication. So on the base station you have a separate antenna that can send it through to any point in Europe. [00:09:32] IAN: That is so cool. So are you guys with that reminded me of another cool thing. Are you guys still putting the 3G, 4G LTE modems and the SATCOM on the drones themselves. [00:09:43] BENJAMIN: Yes. So 3G and 4G is really on the drone now on the DT 26 and SATCOM we’re still working on it. So the idea is to be able to to send information from the drones through directly through satellites to any point in years. And you know it won’t be for video because the flow and the amount of data you can transmit using this satellite communication is not enough. [00:10:05] IAN: So controlling telling the drone what to do. OK, It could be useful for like huge mapping missions, maybe where you’re flying where you’re able to actually fly beyond visual line of sight. [00:10:19] BENJAMIN: Exactly way over the sea – we’re looking like tuna fish companies. [00:10:26] IAN: OK, interesting. I emember we were interested in that a few years ago. [00:10:30] BENJAMIN: I actually talked to the guy yesterday. So how it works. You know that when this kind of huge radar on the boats that supposed to to fish and to catch the tuna. And with the radar they can detect if you have like birds that are over the sea like a group of birds. And if there is a bird, it might be because there are some fish below. So today they send a helicopter to verify it and when they can actually see that there is some tunas – they send the boat. [00:10:59] IAN: I’ve heard some funny stories about the quality of the helicopters that they have on some of those tuna boats, like they’re not very well maintained. [00:11:07] BENJAMIN: Yeah exactly. So they are facing that like death and. [00:11:09] BENJAMIN: Yeah its a huge problem for them. [00:11:12] IAN: I made a good career decision then. But yeah that’s a really cool. It’s a very clever way. I’ve been tuna fishing with my uncle who’s a big fisherman. And the way that we tried to spot it it was a much smaller operation it was on one boat but we would look for the birds as well. So the birds would be trying to get like the little fish and the tuna from below would be getting a little fish so then that that would be like the X marks the spot for the tuna. So you try to get that. That’s really cool. So that would be awesome to get some more information on that once it once it comes through. [00:11:45] What kind of industry? so we’ve mentioned the tuna fishing industry had mentioned the railroad industry which is really cool because I’m much more passionate about you know everyday we talk about agriculture and construction and mining which is really cool but I’d like to you know kind of expose more of the industries what other industries besides maybe those three that I just mentioned are people using Delair-Tech tech drones in? [00:12:08] BENJAMIN: Just to finish about the railroad industry so they came to us for security purposes but now they use more the drones for maintenance aspects. They want to detect some very specific abnormalities above the railroads. They want to make some topography they want to detect if the vegetation is too dense close to the power, to the power line – Now I dont know how to say it in English but. [00:12:34] IAN: Yeah like the vegetation. [00:12:36] BENJAMIN: That is about the railroad. [00:12:39] IAN: OK yeah I gotcha. I think we all understand that. [00:12:44] BENJAMIN: So now they are more like looking at this than security purposes. They are still looking at the security but actually their biggest need is the maintenance. And we kind of do the same thing for power line companies so we try to detect anomalies on the millions of images that we take up of the power lines – vegetation encroachments, missing insulators, hotspots all this kind of stuff that you can have on the power line. So we just signed a big contract with the main utility in France to be able to detect anomalies on significant part of the network. [00:13:22] BENJAMIN: ERDF. Now it’s called Enedis, it is like the company that transport the electricity, EDF is the company that produces electricity. [00:13:31] IAN: I see OK very cool. [00:13:34] BENJAMIN: Last thing. I didn’t gas companies as well. So what we do in France I think in the U.S. you have the same needs. So you pay pennies on the ground and by law. They have to detect any excavators that would be digging into the ground without knowing there’s a pipeline below. [00:13:53] IAN: Right of way violation. [00:13:55] IAN: Yeah that’s a big thing. People are using traditionally like when you’re building hours, like a helicopter pilot or a fixed wing pilot- then you can kind of get on like the pipeline patrol route and just kind of fly and then someone sits there with a clipboard and then marks that it’s OK or not and then records GPS coordinates. So that will definitely help a lot. [00:14:16] BENJAMIN: Yes so we worked a lot on the image processing part of it because you need to be able to detect excavators from arial imagery. So it’s been a long process and now the last experiment was done. We were pretty successful we had like 97 percent of success. [00:14:31] IAN : Oh this is an automated algorithm you’re talking yeah. OK. So it’s like automatic image analysis and object recognition dection. Very cool. All right. What about some milestones in usage or sales? I think I saw something on the Twitter feed of Delair-Tech. Like 60 countries 100 countries, something like that where people are using Delair-Tech drones? [00:14:54] BENJAMIN: OK, So it was 30 countries last year, now as I think it would be like 35 maybe. [00:15:00] IAN: Gotcha. OK. Cool. 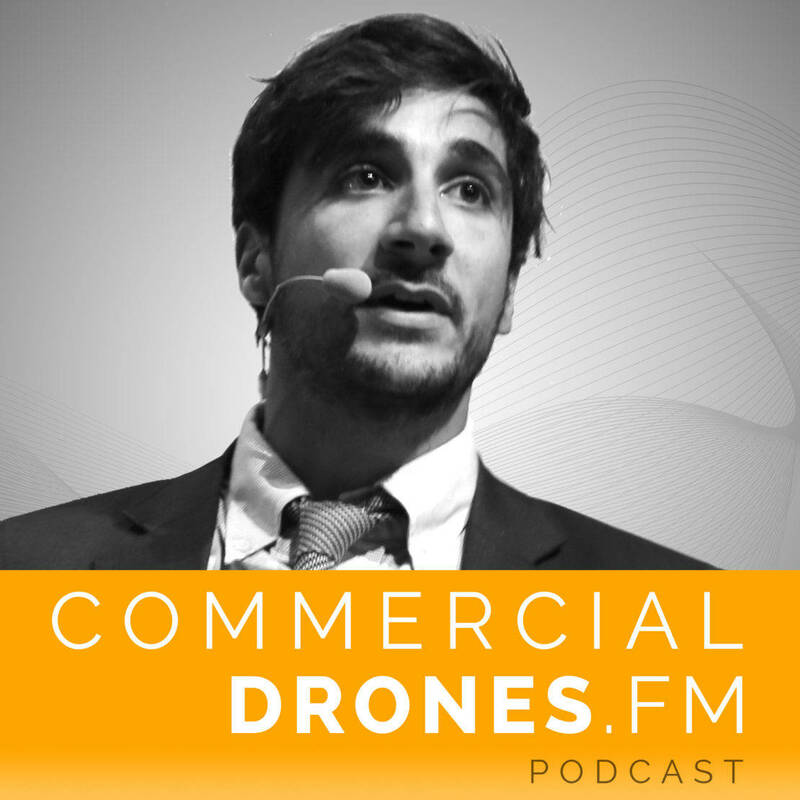 [00:15:02] BENJAMIN: So 350 drones last year that we sold. We planned to do like 500 this year. [00:15:13] IAN: That’s cool. So that kind of isn’t so adding more countries to that list of course. I mean obviously it’s a indicator it’s an indicator for the drone industry as a whole too. We want everybody to be selling drones all over the place. What’s your strategy with L.A.? So you moved to the U.S. and what’s the purpose of this? Like to come to the US and just kind of land and expand it and bring the drones here? [00:15:41] BENJAMIN: Yeah. So I mean when you are in Europe you’re always thinking about the US, you know the big markets you know and they’re actually it hasn’t been the big market for the past five years because the regulation was not there. But now that the regulation part107 just has been released it’s going to be a big market. It’s going to be huge for it especially for infrastructure because the country is big and you need to inspect power lines and inspect rail. You need to inspect pipelines so. [00:16:12] I know the regulation today doesn’t go beyond visual line of site operations but it does follow some basic stuff so we think it’s a good time now to enter and to try to to deploy our systems here in the country and to build some pilot projects with BNSF to build some of project with utilities and gas companies and try to expand our technology to the U.S.. And also we think our competitors from tomorrow are based in the U.S. We want to be close to them you know. [00:16:45] IAN: Yeah. Perfect timing. That’s that’s really good. [00:16:48] BENJAMIN: I hope so. [00:16:49] IAN: So what. What about hardware versus software. We talked about the hardware we’ve talked about the drones themselves and a little bit about the software we didn’t get too much into it. But what do you think. Which one’s easier? [00:17:02] BENJAMIN: Easier? the software by far. No, no I don’t know but what I can tell you is that hardware is hard as it is in the name it’s hard and especially when you talk about flying because you don’t have the right to make a mistake – because the sanctions is automatic, it can be very hard. So when we started the company we started with the hardware because at the time the hardware didn’t exist. Yeah. So we needed like these long endurance flying drones over like 100 kilometer 150 kilometers. So we started with the hardware which was pretty painful because we had to rebuild everything from scratch. [00:17:43] IAN: Everything even the autopilot, you created your own. [00:17:45] BENJAMIN: Yeah yeah. Airframe, telecommunications system everything had to be done on purpose because we wanted to maximize the endurance and the performance of the drones, in a very small weight, below 4.4 pounds – because at that time it was the limit in France. So we had to do it from scratch so it was a long process was very hard. But we come from – parts of the team come from the aviation and space industry. We haven’t mentioned that but we are beginning to lose to lose the headquarters of Airbus so we can tell a lot of engineers. [00:18:20] BENJAMIN: Beautiful city and a lot of skills in aerospace and aviation. So we kind of tried to mix this culture aviation in space with a robotic culture. Like most startups, geeks with very short cycles. So we think in the drone industry, the guys who will be good at hardware will be the guys who can mix these two cultures. And you don’t need to oppose aeronautics with robotics. You need to be able to mix them. And many startups I started with like in robotics mindset and so they were like struggling in making like a Certified and safe hardware because it was falling down like very often. [00:19:06] BENJAMIN: It’s when you mix it with a narrative are never in a culture that is more like safe and satisfying then you. You wait until you’re sure that you anger ism can fly before you fly. Then it kind of works well. So hardware has been very hard I think for a lot of companies. So a lot of companies have decided to stop hardware and to focus more on the software. [00:19:29] BENJAMIN: Yes so we think hardware is still important because if you don’t have trouble of course you cannot do anything but with software as well might be the most important in the next years and especially about data processing… But today if you look at the numbers the companies that are making money in the industry are hardware company. We at Belair-Tech, we still do 90 percent of our revenue based on the hardware sales. So software is a very small part of it. We know it will grow. But today the company is that are powerful are hardware companies. [00:20:06] IAN: How many employees currently? [00:20:07] BENJAMIN: A bit more than 70. [00:20:09] IAN: Wow and how many countries are you based in? [00:20:12] BENJAMIN: So we have offices in Toulouse, Paris, in Sydney, in Australia and now in LA. [00:20:18] IAN: Great, are you guys hiring in L.A.,in any of the offices? [00:20:22] BENJAMIN: Yeah, especially in L.A. So today I’m alone because I just arrived a month ago and we plan to be at least five by the end of the year. [00:20:31] IAN: And what kind of positions if someone might be interested and they’re listening and they want to hit you up? [00:20:35] BENJAMIN: Sales, pilot and support. [00:20:39] IAN: Okay great. That’s awesome. Ok cool so I wanted to touch a little bit. One of my favorite things that Delair-Tech has created is the vegetation encroachment algorithm. I was always very fascinated by that. It solves a really cool problem that it’s not a cool problem but it’s a really cool solution to a bad problem. And in that like for example vegetation encroachment on like power transmission lines for example in Australia can wreak havoc across the country when it’s very dry and the vegetation touches the lines that can catch fire especially with some of the tree types they have out there it’s like explosive napalm. [00:21:17] And then it just like just spreads across the country so maybe you can tell a little bit about like it or just expand. Maybe because we kind of touched on it about the vegetation encroachment algorithm I mean it’s so cool it uses photogrammetry like to develop the point cloud and then like I don’t know like shows you where you need to dispatch a crew. [00:21:37] BENJAMIN: Exactly. Exactly. So today you need to understand that it’s the biggest budget in terms of maintenance of power line companies – just in France, they spend a hundred million per year and just cutting trees over 250,000 miles of power lines. So it’s huge. And today the way they can detect it is that they send people underground so working guys that are trained to see if there is some tree and they evaluate with their own eyes if they are seeing the trees too close to the plant or they use helicopters. So helicopters is expensive, dangerous it’s noisy and sometimes when it flies over like farms it can kill some animals you know because the animals get crazy, they get scared of it. [00:22:25] IAN: Darn helicopter pilots. [00:22:28] BENJAMIN: So there is a huge need for the,m so when they came to us in 2012 they wanted to be able to detect automatically the tree was too close to the power line. So what we do today is that we take some pictures. [00:22:42] IAN: That was their criteria. We want you to just tell me when the tree is close to the power line.Boom. [00:22:46] BENJAMIN: And we wanted to do it like every year. OK. We wanted to do. [00:22:52] IAN: For the whole network? [00:22:54] IAN: So eventually they’ll have just drones all over the place. [00:22:57] BENJAMIN: Exactly. So the way it works is that we take some pictures, high resolution pictures so that the resolution is about the size of the pixel is about two centimeters today. We take the pictures and we rebuild in 3D. The model of the vegetation. So we build everything in 3D. Then we select the vegetation using a near-infrared bandwidth. So it’s not indivisible it’s like close infrared so you can see the vegetation because it reflects a lot in the bandwidths. [00:23:29] So you see like the vegetation from the building from the roads from everything that is not. And then you calculate for each point of the vegetation and the distance between the point and the power line. And as soon as it’s below a certain threshold – so one meter through me terrified me. You spot in a certain color. And then you deliver it to the clients kind of a Google Maps where all the anomalies – all the places where the vegetation is too close to the power line. [00:23:59] IAN: I love it. You say, you started in the drone industry in 2011. How funny would it be to go back maybe even pre 2011 that was Delair-tech was I guess incorporated was 2011. How funny would it be to go back and watch some of those first flights of the hardware you guys were building? [00:24:15] BENJAMIN: It wouldn’t be funny, scary like a horror movie. [00:24:22] IAN: That’s funny. So another thing so we’ve we have some cool stories together so I just want to touch on this. I thought this was very interesting at the time and now I think it would it would have some relevancy a flashback to Abu Dhabi. You and I were there in April 2015. We were at an oil and gas inspection conference and you had a presentation. So during the presentation I threw up a survey for the crowd and this was surprising to me. The survey it said do you imagine roughly – I’m paraphrasing here, do you imagine that you’ll be using drones in your business in oil and gas inspection industry in the next. [00:25:00] And then the answer is we’re like one year or two years three years you know. Then it went like the last one of five years plus. And then I think there was actually, there’s one more and it said I don’t know if I’ll ever use drones in my business. And the overwhelming majority the majority of the response was actually like five plus years. Or like I don’t think I’ll ever be using them in my business or I don’t know. And I just thought that was at the time I was just shocked because this this technology is just you know that even the implications of it are just you know sometimes maybe unproven in certain areas but it’s so interesting so do you think if we went back to that same conference this year or next year do you think that answer would change back to a lot more a lot sooner than we think? [00:25:45] BENJAMIN: Yeah I think so because you know so as you said it first like one and a half years ago maybe? [00:25:51] IAN: It’s so soon. 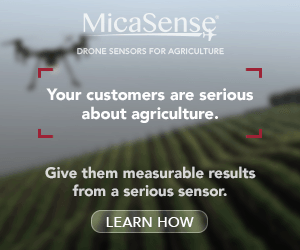 [00:25:53] BENJAMIN: It’s so soon but in the drone industry it’s huge. I mean it’s like another century – it’s another era. So it’s moving so fast and so quickly at that time I remember. Yes the audience, I think it was maybe the first guy who took drones to them. [00:26:10] IAN: You definitely were. [00:26:12] BENJAMIN: But I think now it’s been a year that everybody’s talking about drones and I think these guys have heard about drones and now they can imagine like using it in the next year or on the next two years. I’m sure about that. [00:26:30] BENJAMIN: So quickly – I mean, its crazy. [00:26:30] IAN: What’s one of your favorite use cases of the Delair-Tech drone maybe something that you know. So there’s a lot of news if you don’t know – if you’re not French you you might not know as much about Delair-Tech, because you know even when I was there like it was all over the news. You know a lot of the news and media coverage has traditionally been in French – so do you have a specific use case that comes to mind that that was really cool to you? Like specifically felt like all right this really neat stuff that we’re doing. [00:27:02] BENJAMIN: OK. So we talked about that. But the vegetation encroachment – what I like about is that it’s fully automated the full process from the beginning. So you just push a button and then the process goes on. And at the end of the day you get the result and you get the maps. So this is pretty cool because there is no human intervention anymore. So this is something we like but then it’s not like the craziest stuff we’ve ever done. You know I mean we’ve done some stuff that was like oh my god we can do that? even though we were like kind of surprised. [00:27:32] So we made like survey in the Indian Ocean, where we could do some topography below the sea up to 30 meters below the sea. So it was kind of crazy what you can have with like professional sensors. So it was not like photogrammetry, it was a hyperspectral imagery. [00:27:49] BENJAMIN: With the hyperspectral you can detect crazy things like 30 meters below the sea. [00:27:56] IAN: Wow, what was the use case for that? [00:28:00] BENJAMIN: It was to do some bartrimmetrical survey inorder to recurrence to analyze the reef barrier. [00:28:06] IAN: Yeah. The reef, was it like for a potential oil and gas? [00:28:10] BENJAMIN: No, no it was for the agency in charge of protection of the marine area. [00:28:18] IAN: That’s amazing. Yeah. Hyperspectral I think well it definitely has not reached its potential by any means at all. It’s just so hard to get a hold of. I mean they’re really expensive. How big was this? Which aircraft was this sensor on? [00:28:30] BENJAMIN: BT26, obviously because it’s big. [00:28:33] IAN: How big is the hyperspectral sensor? Is it like the size of a LIDAR? [00:28:37] BENJAMIN: Yeah, it’s more like the size of a LIDAR. You know it’s a bit more light but it’s mostly the size of a LIDAR. So I would say – I don’t know an inch but I would say 20 cm per 20 cm, something like that. [00:28:47] IAN: OK. Gotcha.That’s really cool. [00:28:51] BENJAMIN: Yeah hyperspectral is a pretty powerful technology. [00:28:55] IAN: That’s awesome. So in five plus years in the industry what kind of advice would you give maybe someone who’s just starting like a drone company? [00:29:03] BENJAMIN: Give up, change – do another thing. [00:29:12] BENJAMIN: Go away. Now that there’s still time. [00:29:16] IAN: Why? Is it really you know really tough to get started or if you just have to put a huge commitment into it? [00:29:24] BENJAMIN: You have to put a huge commitment, you have to be cool because some pretty bad things will happen – you have to keep your calm and to – I don’t know. I mean it’s something for people who are like – In French we say “le couer bien accroche” – so the heart is well in place. [00:29:45] BENJAMIN: Because you can have some heart attacks, sometimes. [00:29:45] IAN: So your heart is secure inside of your chest. It’s not going to be rattled very easy. Ok cool so just be aware that is not going to be a super easy road. It never is in entrepreneurship. OK. So recently there was a White House drone workshop this past week. The FAA administrator Huerta had announced that there was over 500,000 recreational drone registrations in the past eight months. And they compared that to I believe and I might be misquoting this but around 100,000 manned aircraft registrations took decades to get to that point so drones have have 5X’ed in such a short amount of time in less than a year than the entire manned aircraft registry. [00:30:38] How do you compare this to France? Do you feel like? – Well I don’t know any of the statistics as far as that goes. I don’t think you’re even required to register your drone? Maybe unless you’re doing a commercial operation? But how does that compare to France, because France you know one of my favorite things is like France just got Netflix in like late 2014. But at the same time like there was beyond visual line of sight, certified drones from Delair-Tech the first ones,even before that. [00:31:05] So it’s so interesting sometimes France lags behind, sometimes they’re ahead. Obviously it’s a smaller country. But what do you how do you kind of compare that growth in France like, what’s the drone industry like? is it growing like crazy still in France? [00:31:20] BENJAMIN: I think it started very early as you say. So in 2012 we had our first regulation, was even more on than what you have now in the U.S. So it was in April 2012. So it grew like very quickly and very early. But now when you look at the numbers in the U.S. you have much more UAV that are registered in France even on the professional industry. Because as you say for leisure we don’t sell them today in France. So it started very early but the growth is not as fast as it is and as big as it is in the U.S.. So I think you’re going to be like way more advanced than us in the next few months or years. [00:32:04] IANL No I think yeah it’ll probably be definitely be years definitely not months. [00:32:09] BENJAMIN: I don’t know maybe a year. [00:32:12] IAN: Yeah. I think that’s one thing that we have pretty much in common is that the bureaucratic process can tend to be pretty slow in both countries. Ok cool, So any plans. Are you guys ever planning to do any like fix doing delivery drones in the near future? Have you ever thought about that? [00:32:30] BENJAMIN: Of course who said about that because it’s one of the topics that people talk the most about. I don’t know why but this is what people talk about. It’s the delivery but we won’t do that because I mean it’s kind of – t’s very tricky and technically in regulatory in terms of insurance as well. And you know we have a lot to do in observation, so we want to stick to the observation. [00:32:53] IAN: Makes sense you’ve got to have focus you can’t say all over the place. [00:32:56] BENJAMIN: You know we started with drones, but we haven’t talked to them – we haven’t talked about that too much but we now want to expand a bit with manned aircraft and then may be space as well. We’ve seen satellite imagery and drone imagery are very complementary. So you need to be able to mix them if you want to win because for a customer like the railway, the power lines, oil and gas they don’t care and the image comes from the satellite, UAV or drone. You just one the right information at the right price and at the right moments. [00:33:28] IAN: That’s really cool. [00:33:29] BENJAMIN: To be able to master all this means, so we have a lot to do in that. [00:33:33] IAN: Full blown aerial data from nearly any altitude. The full picture then. What about rotary drones? Any any thoughts or plans on expanding into there? You guys kind of just sticking with the fixed wing for now. [00:33:47] BENJAMIN: Yeah we are sticking to the fixed wing because rotary drones we have a lot of companies who do that. I would say 95 percent of the drone now are rotary wings. So you have very good companies who do them. I don’t see the point us doing rotary wings. So we stick to fixed wing. [00:34:05] IAN: OK. So one of the last questions will be. Scenario, tomorrow you’re starting a drone service company. Benjamin Benhursh’s drone drone extravaganza company. You can buy two drones, so you can buy one fixed wing and one multi rotor or Rotary drone which two drones do you choose and why? [00:34:29] BENJAMIN: I hope you’re not asking me which fixed wing drone I would choose, because the answer is obvious and I don’t even want to answer this question. For the fixed wing drones I guess DT18 or DT26 and I guess it depends on the application. You know for some applications I think I would buy some thing like a DJI can do like a lot of stuff. For some maybe more professional application look with a sensor that’s pretty heavy and pretty survey grade. I think I would go with something like a micro drone. [00:35:10] IAN: Cool. Nice. And so last question. Are you planning on taking the part107 test here in the U.S? I mean it is available to non-U.S. citizens so you can take the test and become a commercial operator. Will you be doing that yourself or were you have the other pilots? [00:35:26] BENJAMIN: No, I’ll be doing that myself and with the pilots as well. [00:35:27] IAN: You’re going to be soaring above the United States pretty soon. Awesome man. Well you can follow Benjamin on Twitter @ben7bis and you can follow Belair-Tech on Twitter @delairtec and visit the Website at Delair-Tech.com. 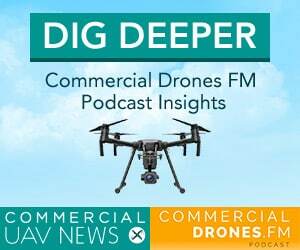 And of course you can also follow commercial drones FM the podcast here on Twitter @dronespodcast and at Facebook.com/dronespodcast. If you like the show, leave a review on iTunes and subscribe. We really love you guys. Thank you so much for getting us to this milestone here. [00:36:10] And Benjamin, any last parting thoughts for the audience or anything in general about the drone industry? [00:36:18] BENJAMIN: I just had a thought now for my associate who is crossing the Channel, the sea in a submarine he designed himself with a friend of his. So I’ve just have a thought for him because he’s going to spend a week in that 100 m of depth. [00:36:32] IAN: So hold on. So this is the one of the co-founders of Delair-Tech is underwater in a human powered like bicycle submarine? in the English Channel crossing from France to the U.K.
[00:36:44] BENJAMIN: Exactly. No, from UK to France actually. [00:36:47] IAN: OK that makes much more sense. So they can pop the champagne on home turf. All right. Good luck Michael. We’re thinking of you. Alright, cool. Donc merçi a tous d’avoir écoute et merci Benjamin. [00:36:58] IAN: Pour ton temps. C’était un grande plaisir. [00:36:58] BENJAMIN: Merci, ….pour m’avoir. [00:36:58] IAN: Nous serrons au retour pour le prochain épisode de Commercial Drones.FM. A bientôt.